A cyst is a fluid out pouching. A ganglion is a cyst that arises from a joint. Typically the cyst has a balloon cyst with a stalk that begins at the joint. The cause of ganglion cysts is unclear though some thought is that repetitive wrist trauma may increase the risk. 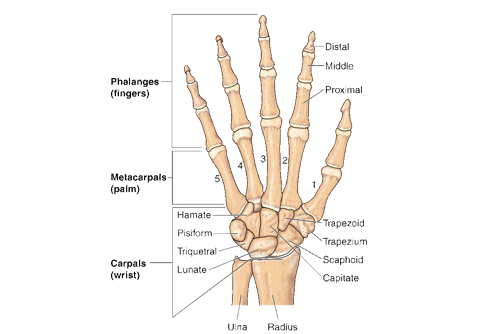 Ganglions at the wrist are most commonly found between the ages of 15 and 40 years. Cysts that develop at the end joint of a finger, mucous cysts, are more commonly caused by arthritis in the finger joint. Symptoms include a hard bump, pain with wrist motion, and occasionally numbness or tingling of the hand. Some smaller ganglions can remain hidden under the skin. Initial evaluation includes a medical history and physical examination. X-rays may be done to rule out other conditions including a bone tumor or arthritis. In cases of a suspicious ganglion or those who may have an occult ganglion an MRI or ultrasound may be indicated. Initial treatment of a ganglion cyst is nonsurgical including observation, immobilization, or aspiration. A significant portions of cysts return after aspiration. Surgical treatment may be considered if nonsurgical treatment does not provide relief. Surgical cyst removal is done as an outpatient procedure through a small incision. Activities usually can be resumed 2 to 6 weeks after surgery.